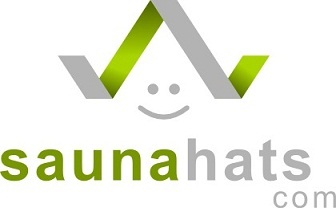 Welcome to SAUNA HATS - FREE worldwide shipping. We offer high quality hand-made sauna hats from high quality 100% wool. Sauna hats come with felted or sewn edges. Sauna hats have inside loops for easy hanging. Felting is one of the oldest textile production techniques, and sauna hats made by our craftsmen can be hand-washed. Wet sauna hat may be stretched by hand and again you will get the desired shape and size. In our NEW PRODUCTS page we will offer new and original designs to help you find that special and exciting new hat for everyone on your list.